LOUISVILLE, KY (WAVE/NEWS RELEASE) – Mark your calendars and spread the word! The 2015 NBC News ‘Hiring Our Heroes’ job fair is coming to Louisville. The event will take place on March 11, 2015 at 10400 Linn Station Road, Suite 120 B. 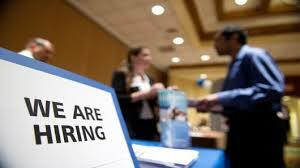 The employment workshop begins at 8:30 a.m. Governor Andrew M. Cuomo today announced that the New York National Guard will host a Hiring Our Heroes Veterans’ Job Fair at the Division of Military and Naval Affairs Headquarters in Latham on Thursday, March 5. With over 70 employers and at least 350 jobs to fill, the United States Chamber of Commerce Foundation event is open to veterans, military spouses and members of the National Guard and Reserve. MANCHESTER – New Hampshire Employment Security and partners will present a Hiring our Heroes Job and Resource Fair from 10 a.m.-1 p.m. Tuesday, March 10, at Sweeney American Legion Post, 251 Maple St. The event will offer opportunities for job seekers interested in entry-level, as well as skilled and professional, positions. The fair welcomes all veterans and veteran-friendly employers, and is open to all job seekers. 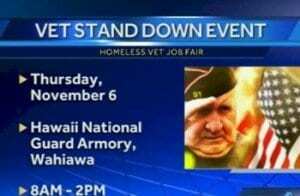 The Homeless Veteran Stand Down and Job Fair is a first ever collaboration to help veterans in crisis.